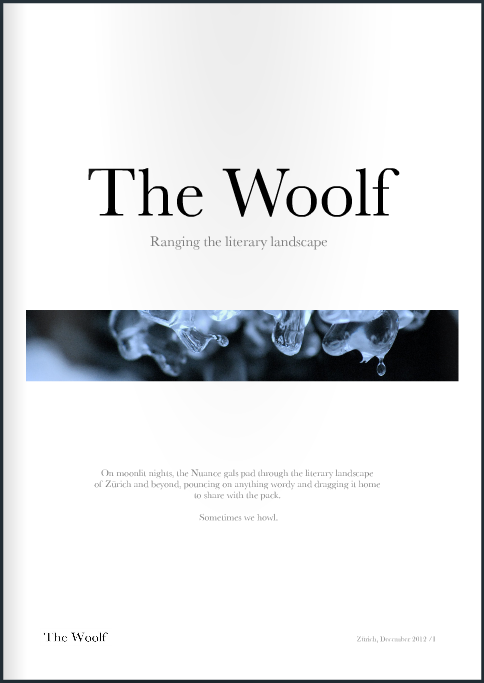 The Woolf is a collaborative initiative of writer-publishers Jill J. Marsh and Libby O’Loghlin. As a pup, The Woolf was a bi-monthly newsletter for our local, inspiring writerly networks in Zürich, Switzerland. Since then, it has transmogrified into a full-blown online publication. We also run workshops and other events for those interested in the art of story and writing, and publishing across media. We publish in 3-monthly, themed cycles and we like to support writers and visual artists working in Switzerland (and further afield). To contribute, please contact us via our Editorial page.